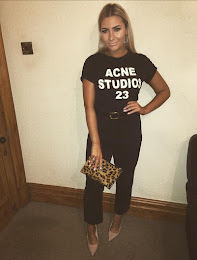 *MASSIVE PURCHASE ALERT* So last week when I finished work, my friend Chloe and I decided to have a little browse round the shops before we left Meadowhall. En route to Zara we decided to take a little detour into the Sunglass Hut. It is an open plan store on the corner so it takes a lot of willpower not to pop in and try and few pairs on. 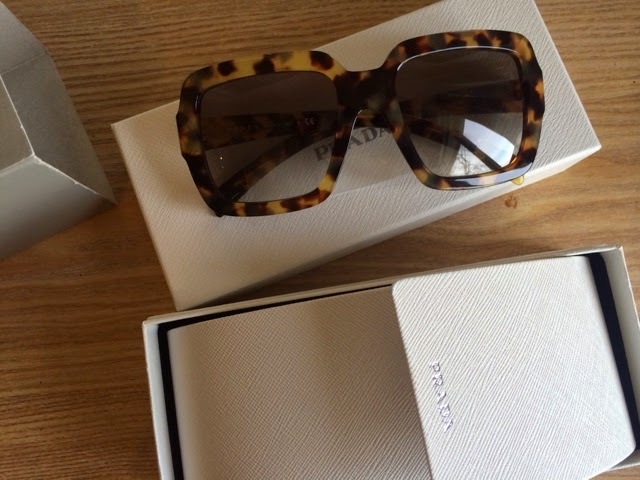 Anyone who has been reading my blog for a while will know that I have been lusting over THAT pair of Miu Miu sunglasses since forever, however it was this pair of thick tortoise shell Prada shades that caught my eye this time. I LOVE how unique and bold they are, but with a £215 price tag, I reluctantly put them back. When I got home I couldn't stop thinking about how amazing they would be for my holiday this year, and just summer in general. I attempted to justify the price by all the 'oh, well sunglasses ARE an essential....and I WILL wear them every day.....' And after a positive response from my Twitter pals, it was a definite case of #YOLO! I bought them the next day using a voucher code from O2 Priority moments which gave me a massive 20% off! For anyone who is on the O2 network and hasn't downloaded it yet then WHAT THE HELL ARE YOU PLAYING AT?! It is a free app which displays all the offers in your local area, with everything from free coffee's at Cafe Nero, to 25% off your food bill at certain restaurants, to dozens of shopping offers! The offer brought the grand total of my sunglasses from £215 to £172. Now I just have to concentrate on not losing them/sitting on them/scratching them! What do you think? Do you prefer designer shades over high street brands? 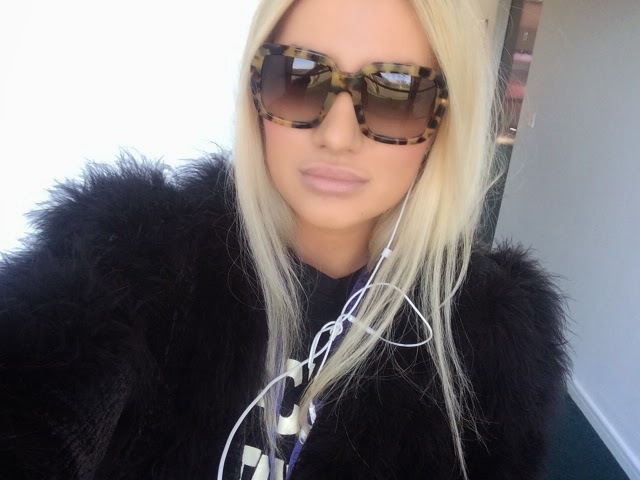 In LOVE with these sun glasses!